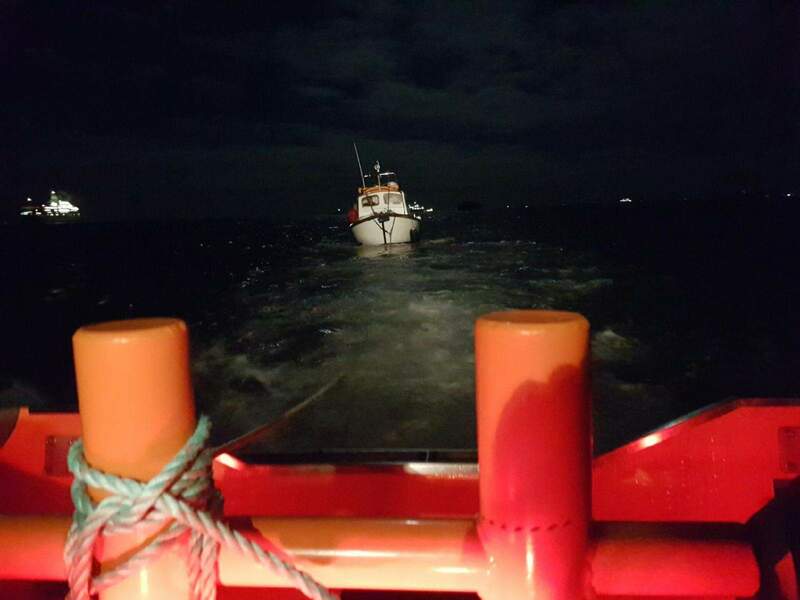 Rescuers were launched to assist four fishermen who were stranded in The Solent when the engine on their fishing boat failed. UK Coastguard paged the volunteer crew from Gosport & Fareham Inshore Rescue Service (GAFIRS) just after 8pm to assist. When GAFIRS arrived on the scene, just off Spitbank Fort, an MOD police boat was providing assistance to the stricken 24-foot vessel. GAFIRS placed a crewman on board the broken down vessel which was then towed back to its berth in Trafalgar Wharf, which took around an hour. “Fortunately it was high tide which made getting the vessel back on its berth in Trafalgar Wharf a lot easier,” added Mr Pack. In total the rescue operation lasted two-and-a-half hours and was Gosport & Fareham Inshore Rescue Service’s 107th launch of the year. GAFIRS is an independent lifeboat station manned entirely by volunteers, on call to UK Coastguard 24 hours a day, 365 days a year.